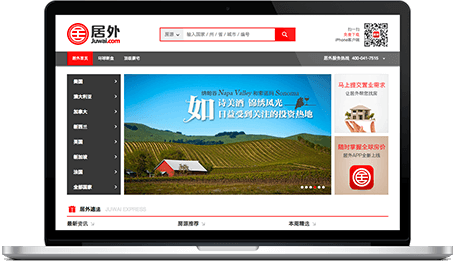 All my new property listings are featured on Juwai (Asian property listing site) and will be translated into Chinese. Juwai is the most popular website in mainland China for those seeking foreign properties for personal use or investment. Juwai provides a full range of services to help feature listed properties in the right language and behind China’s Firewall. Juwai also markets your listing on the right mobile and social channels, and provides the research and statistics to tailor my strategy to reach today’s massive audience of Chinese overseas property buyers. Locally, I work with a fluent Mandarin interpreter who is able to respond to any questions online, or can accompany buyers to property showings. Canada is the 3rd highest destination for Chinese buyers looking to purchase or invest into Property outside Mainland China. The current weak Canadian dollar makes it an ideal alternative to investment in the USA. Currently, the Vancouver and Toronto property values have been skyrocketing. Due to a temporary decline in Oil Prices, property values in Calgary have been stable or mildly reduced since 2014. This makes investment in Calgary ideal at this moment. Equivalent properties in Vancouver and Toronto cost much more per square foot, and the Calgary market has much better value. With Calgary being the financial Capital of Alberta, property values will reach new highs once oil prices begin to rise. And since Alberta has the second largest oil reserves in the world, Calgary and the rest of Alberta will remain an economic powerhouse for many years to come, and prices will rise significantly in the future and remain high. With its close proximity to the Rocky Mountains/Banff, High wages, low taxes, excellent quality of life, proximity to nature and cleanliness are all touted as reasons to leave life behind in other parts of Canada and call Calgary home, instead.